The most joyous moments in my business are when I sit with clients and watch them open their finished book for the first time. Although they have seen many drafts and proofs, there is nothing like holding their life stories in a beautifully bound edition. The excitement and emotion of holding this special book with their name on the cover can be overwhelming. These legacy books are often created for a life celebration. I have been included in many a family gathering and watched the reactions of family members receiving this gift. It is truly a treasure and my clients always feel honored by their family’s reaction. My background is as a museum curator, and I often tell my clients that I am making an exhibit out of their lives. A curator researches and learns, culls and edits, writes and designs. All this, and more, is done when helping my clients create their memoir. 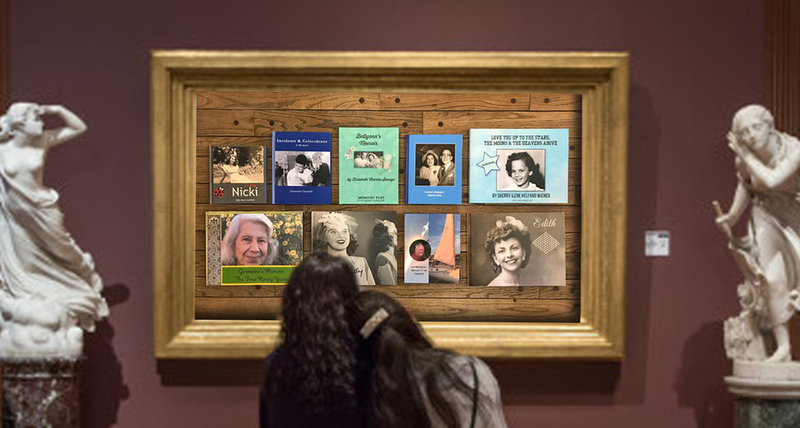 As their biographer, I help clients recapture and articulate in their own words their family traditions and key moments, with all their emotional peaks and valleys. While we sort through decades of photos and memories, a deep relationship is formed. Some of my subjects don’t like the spotlight and are uneasy about being the protagonist of their own story. My job is to assure them that their stories and memories have meaning and value to the next generation. When my clients see their grandchildren and great-grandchildren’s faces as they pore over the pages of their book, the modesty seems to dissipate. Pride and legacy prevails. My gift to my clients and their families is helping them preserve the essence of the person for future generations to know and love. It’s also my honor. We take memories and make them into memorable books for you and your family. © 2019 MEMOIRS PLUS LLC. Anything special, you would like to share with us?